When it’s time to sit on the horse, it already knows the aids, since it is the same aids in the leading exercises, groundwork and longeing. While working from the ground the rider has also schooled her body and seat, but usually you require a bit more training of the seat. You want to follow the horse´s back forward down with your inner hip, when it lets you down and start rotating the chest. 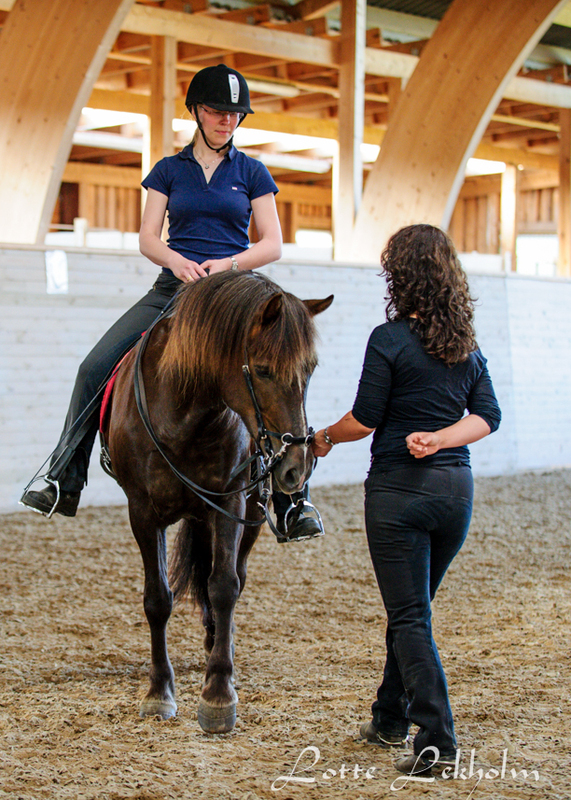 However, you should not push all your weight towards the inside, but you should sit in the middle over the horse and also be in contact with the outside. You want to ride with small, neat aids so be careful always to first use your seat aid and then add voice, legs, hands and whip as needed.